B Nailed To Perfection: 26 GNAI-Going On Holiday - Uber Chic Vacation Mode Review. 26 GNAI-Going On Holiday - Uber Chic Vacation Mode Review. Hey guys. 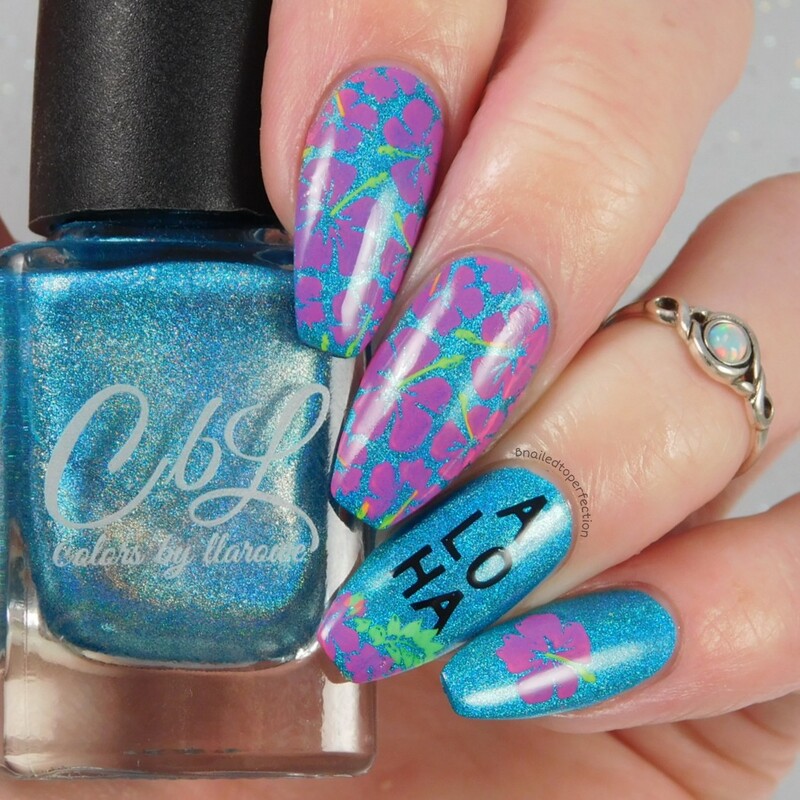 Today I have another instalment of 26 Great Nail Art Ideas and the theme was Going On Holiday so I paired it with a review of a new Uber Chic single plate called Vacation mode! 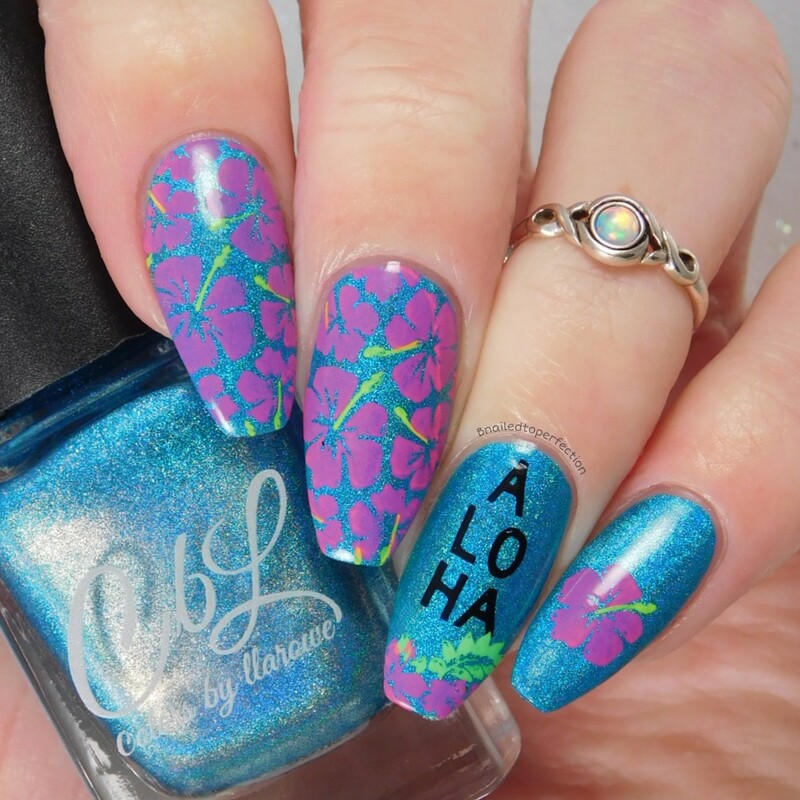 I went with a tropical feel mani that made me dream of Hawaii! The whole plate is filled with summer and holiday images so it was perfect for this prompt and I've already used it for the next prompt, Beach, but that's not for a few weeks lol. I used the stunning Young Turks for the base as it just screams summer to me. On the downside, my EDK neons didn't seem to like stamping over it very much. The neon pink Chuvisco is a lot more muted but I think the neon green Bruce stamped ok. As did Kaa which I used for the inside of the flowers. 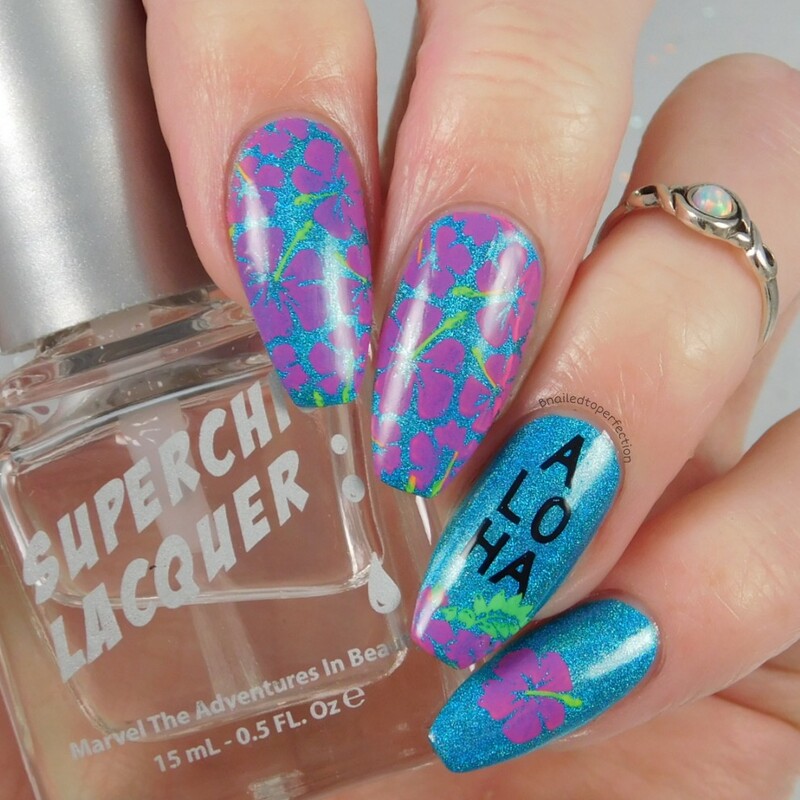 What do you think of my going on holiday mani? It just makes me think of those flower necklaces you see people getting when they arrive in tropical destinations when they get off the plain. It's probably something that only happens in films and programmes and not in real life haha! 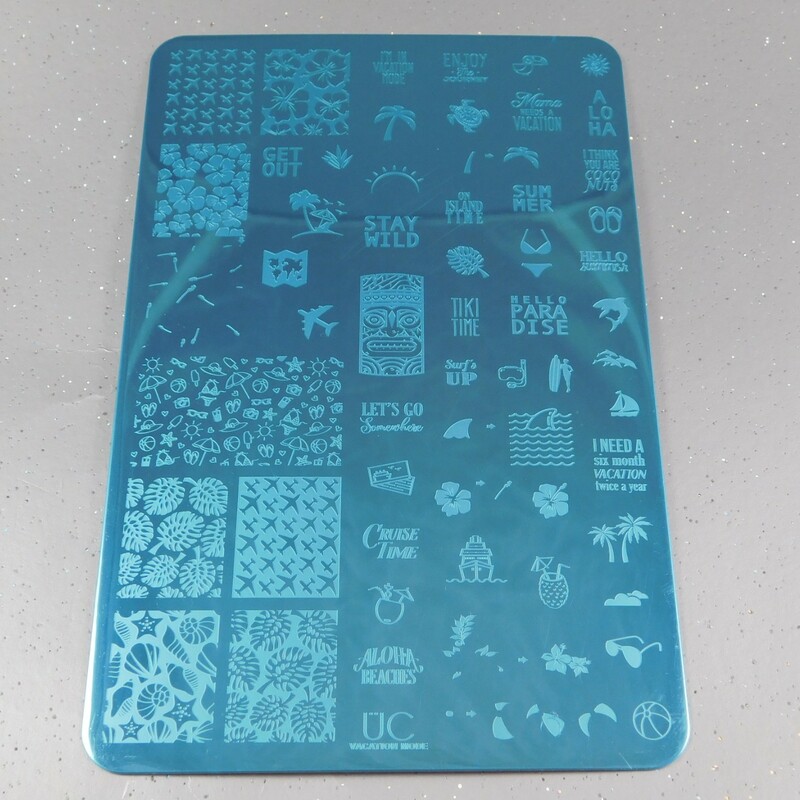 Vacation Mode by Uber Chic is an awesome plate. You can grab it from Nail-Artisan for £12.25.